Six games have been announced for Xbox Game Pass in April, including Monster Hunter: World. Monster Hunter: World is part of the next series of titles to be added to Xbox Game Pass in April. In a new blog post on Xbox Wire, six games were announced for Xbox Game Pass, with Prey and The Golf Club 2 being the first titles available starting tomorrow, April 11. One week later, The Walking Dead: A New Frontier and Monster Hunter: World will both be up for grabs on April 18. 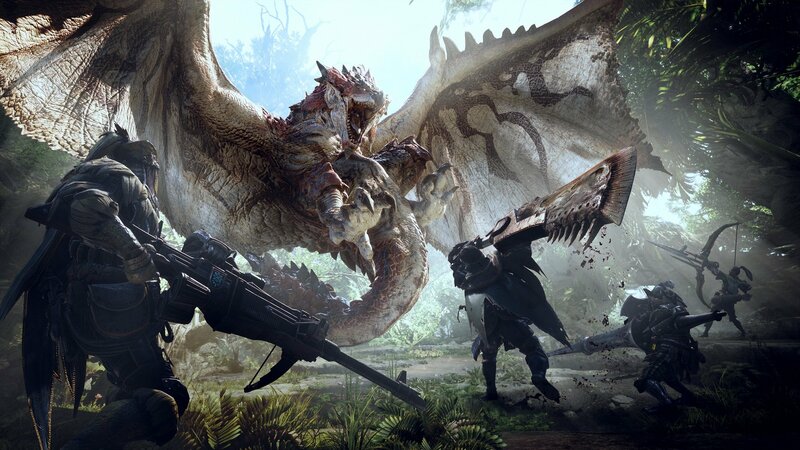 Monster Hunter: World is one of six titles coming to Xbox Game Pass in April. Xbox Game Pass is a subscription service available to Xbox One and Windows PC users. For a set monthly fee, Xbox Game Pass subscribers are given access to a wealth of games both new and old. For those interested in checking out Xbox Game Pass, there’s a 14-day free trial available, and a promotion where you can get your first month of Xbox Game Pass for $1. After that, the regular pricing for Xbox Game Pass is set at $9.99 a month. What’s nice about Xbox Game Pass is that new games are added each and every month, with the April additions having recently been announced. Included among the games added to Xbox Game Pass in April are titles like Monster Hunter World and Prey. Below, we’ve included a list of all six games coming to Xbox Game Pass in April. All six games make offer worthwhile experiences, with Prey and Monster Hunter: World being among our favorite titles. Meanwhile, if you’ve been holding off on playing new chapters in games like The Walking Dead: A New Frontier and Life is Strange 2, their addition to Xbox Game Pass makes for a convenient excuse to check them out. After reviewing the six games coming to Xbox Game Pass this April, what are your thoughts? Are you eager to dive into Monster Hunter: World, or are you more interested in games like Resident Evil 5 or Prey? Let us know down in the comments below!